Home > Hinduism > Hindu Gods > Shri Krishna > What is the real relationship between Radha and Shri Krishna ? What is the real relationship between Radha and Shri Krishna ? Shri Krushna belonged to the royal dynasty while Radha to an ordinary cowherds family. Like Sita, she too was born out of a resolve (sankalpa). die. The devotion of the gopis is an illustration of Parabhakti (Ultimate devotion), Radha being the jewel in the crown. Radha’s spiritual love (priti), that is devotion unto Shri Krushna has been misinterpreted as love in the Radha-Krushna relationship. Its futility will be realised if one considers Shri Krushna’s age at that time. When Shri Krushna left Gokul permanently He was only seven years old; thus His relationship with Radha was only during the period when He was three to seven years old. The sound of the flute means the anahat sound. That sound had maddened all the gopis (wives of the cowherds). So one will realise how highly spiritually evolved they were. 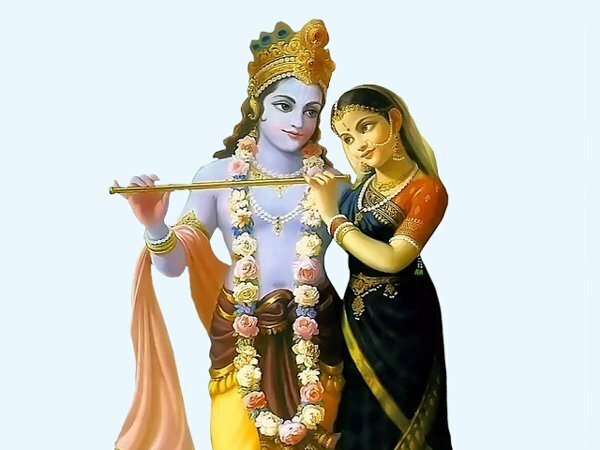 When leaving Gokul, Shri Krushna gave His flute to Radha and never played it again. Thus He made sure that She constantly got the spiritual experience of Absoluteness (Purnatva) which is superior to anahat sound. B. According to the Tantrik and Vaishnavite sects Rukmini representing the Energy of opulence is one of the two Divine Energies (Shaktis) of Shri Krushna while Radha is the Blissful Energy (Ahladini). 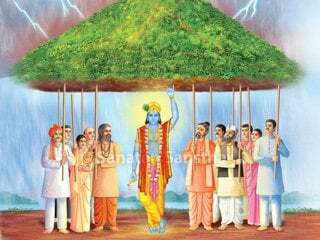 The Energy of opulence: ‘When Sudama came to meet Shri Krushna he brought along four handfuls of puffed rice. Even that was borrowed by his wife, from a neighbour. After Shri Krushna had eaten just a pinch of the puffed rice Rukmini snatched it from His hands and said, “We are 16,008 in number. Let us all partake of atleast one grain.” She did this because She knew that if Shri Krushna ate even a pinch, Sudama’s city would turn into gold. So if He were to eat everything then the eight supernatural powers along with the entire wealth from the three regions – earth, nether world and heaven would have to serve Sudama all their lives. So great would be the opulence that he would acquire. Rukmini did this because She was the Energy of opulence rather the deity of wealth, Lakshmi. If a devotee of The Lord has devotion with expectation (sakam) then it is only the Energy of opulence which stops him from acquiring all types of opulence totally.’ – H.H. Kane Maharaj, Narayangaon. In short, the Energy of opulence helps in endowing a devotee having expectation with some opulence while the Blissful Energy imparts the spiritual experience of Bliss to the devotee without expectation (nishkam). The Blissful Energy: Radha was the Blissful Energy. She never intervened when The Lord endowed someone with riches because Her incarnation was meant for spiritual emotion generated from devotion. Hence that spiritual emotion (bhav) is referred to as Radhabhav. The spiritual emotion of Radha (Radhabhav) or Radha refers to the Adnya chakra. The implied meaning behind this is when a worldly person or a Guru merges into Shri Krushna when carrying out worldly transactions or preaching to disciples respectively they descend to the level of the Adnya chakra. This stream of spiritual emotion progressing from below upwards in other words is the progress of the devotee towards Self-realisation. Radha being Shri Krushna Himself was a devotee who remained absorbed in Bliss. She certainly does not obstruct someone from being gifted with opulence. Even if God were to endow someone with Bliss She would not stop Him because Her Bliss never declines. The moral behind this is that by giving opulence to others it decreases, Bliss does not. In reality, internally were Rukmini and Radha distinct from each other ? Certainly not. 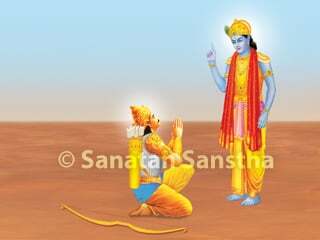 But They behaved according to the mission of Shri Krushna’s incarnation. 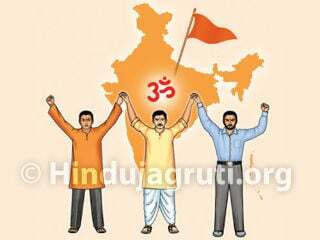 Though They were merged into Shri Krushna They did not become separate because to become separate one needs to have ego. Since The Lord does not have ego His actions (karmas) are referred to as divine play (lila) and the play of man are called actions because of his ego. 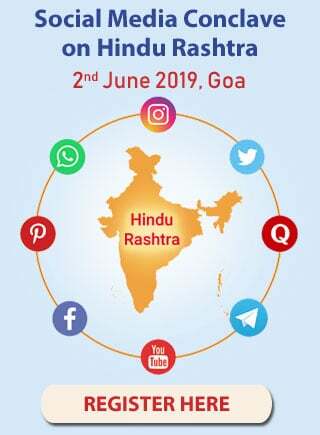 The word rasa (रस) has originated from two sources – (रसानां समूह:) means the collection of nine rasas and (रस: उत्‍पद्यते यस्‍मात्‌) means that from which ras is generated. The rasa dance (rasakrida) is a beautiful event in the lives of Krushna and the gopis (wives of the cowherds). 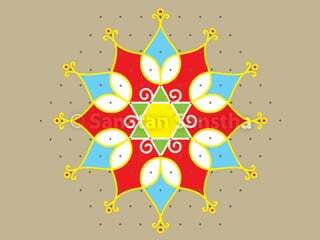 During the dance Krushna endowed them with the spiritual experience of non-duality (advait). 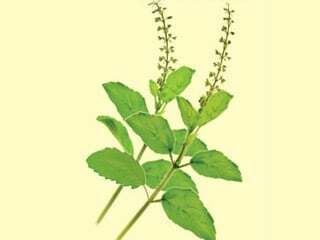 Why are tulsi leaves offered to Shri Krishna ? Why did Shri Krushna narrate Gita only to Arjun ? 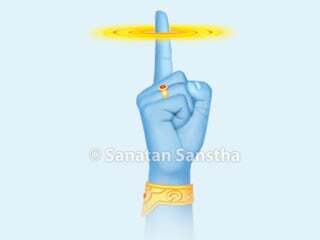 How did Shri Krishna acquire Sudarshan Chakra ? 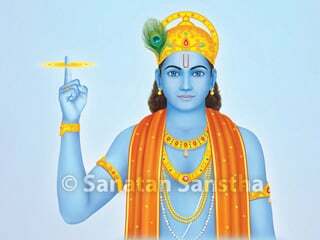 Why is incarnation of Shri Krishna considered as absolute ? Unconditional love, spiritual love devoid of expectations. Most superior form of devotion.